The lack of a general audience really adds to the emotion, and in the silence you can really feel the love and adoration in the air. 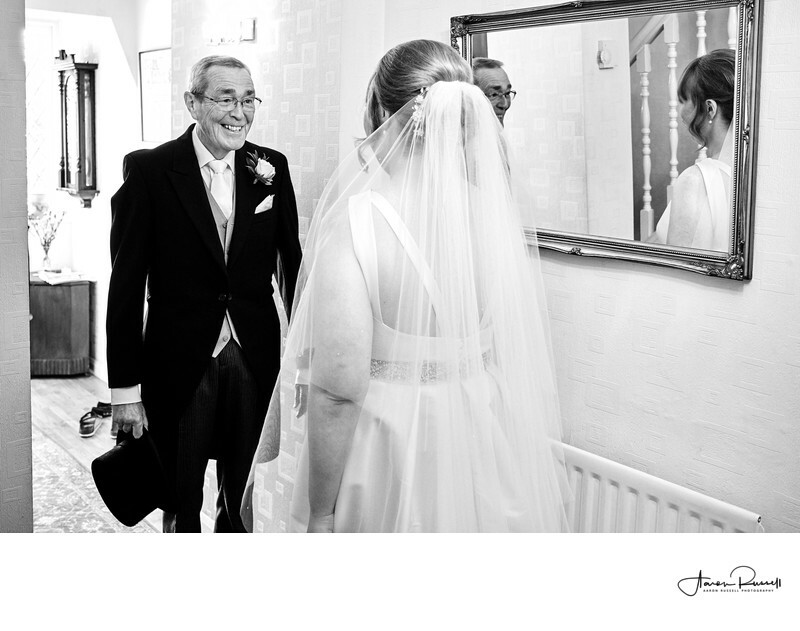 When it came to Isobel's wedding, she was ready in plenty of time. It's always nice when there's less stress for the bride before the wedding, and I really dislike watching people rush in order to be ready to leave for the church or wedding ceremony on time. At Isobel's wedding though, the feeling was a lot more relaxed. With the bride ready and in the dress, all that had to happen was for the father of the bride to appear to collect his daughter. I asked the father of the bride to remain hidden behind the door that lead into the bedroom in which the bride was getting ready. With Isobel in the perfect position her father made his way into the room. When he was in eye-line of Isobel he just stopped, dead in his tracks with the biggest grin on his face and a tear in his eye. It's moments like that that make me love my job so, so much.